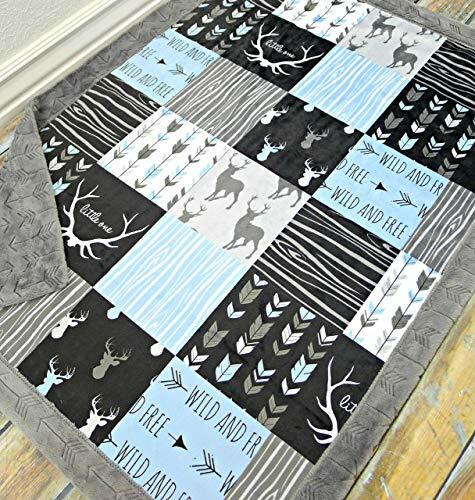 This boy baby blanket with Deer Antler and Little One Wild and Free print has minky on both sides and would be perfect for any outdoor, or woodland nursery. This item is made to order. Please allow 2-3 weeks before shipping. Machine wash on gentle, hang dry / tumble dry on low heat. Carefully hand crafted with love in my smoke free home studio. If you have any questions about this product by Sugar Doodle Boutique, contact us by completing and submitting the form below. If you are looking for a specif part number, please include it with your message.